Home » Blogs » C4DM's blog » Complimentary Open House! December 4, 2016. Announcing a complimentary open house on December 4, 2016 at Center for the Developing Mind featuring a workshop conducted by Mr. Yechiel Goldberg, on how to create a special needs insurance trust for families with special needs kids. Dr. Goldberg is a financial planner who specializes in financial planning for families with children or adults with special needs. 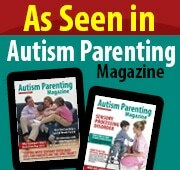 As the father of a teenager who was diagnosed with high functioning autism at age 3, Dr. Goldberg has personal experience navigating government agencies and benefits, regional centers, IEPs, service providers, and the myriad emotional, physical, spiritual, and financial challenges, faced by families with people with special needs. As a Special Care Planner, Dr. Goldberg takes the time to get to know his clients and understand their goals, dreams, and particular circumstances, and helps them develop individualized financial plans that address the needs of the whole family with special attention to creating a life plan that addresses the special financial needs that accompany having a family member with special needs. Dr. Goldberg lives in Los Angeles with his wife, two sons, and four cats. He serves as assistant scoutmaster for Boy Scout Troop 360 and is a board member of the newly formed Jewish Los Angeles Pooled Special Needs Trust. A Special Needs Trust is All I Need…or is it? When the topic of financial planning for families with a member with special needs arises, the discussion frequently turns to the creation of a special needs trust and the use of life insurance to fund the trust when the parents are gone. As important as a special needs trust may be to the financial wellbeing of an individual with special needs, and as valuable a tool as life insurance may be to ensure there are sufficient assets available to supplement government benefits in the support and care of the individual, if there is no sound life care plan then the individual still may not be able to live the best life possible. In this talk, we will introduce the idea of life care planning and explore a few of the key elements in creating a financial plan that focusses on the financial well-being of the whole family while taking special care to focus on creating a life care plan focusing on the needs of the family member who has special needs.